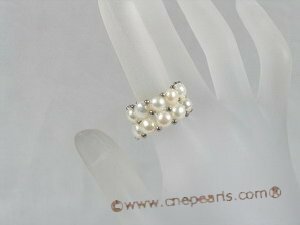 Tiny silver balls gracefully accent this double-strand white freshwater bread pearl ring. 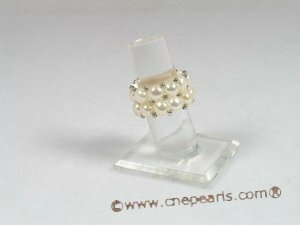 The perfect work or bridal accessory, this white bread pearl ring is strung on stretch-cord to fit any size finger. 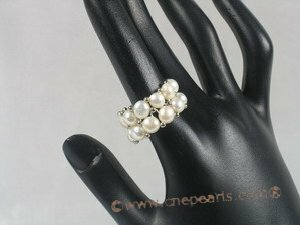 Comfortable and easy to slide on or off, this is a white pearl ring you'll treasure. Makes an easy gift to give - you can't go wrong with the size! 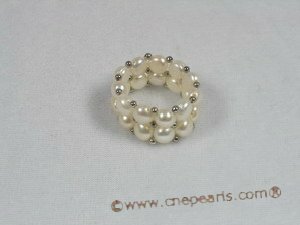 The matching bracelet, number (pbr023) are also available.